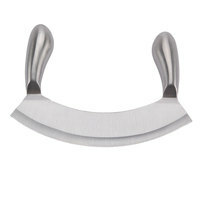 Featuring a crescent-shaped blade with an ergonomically shaped handle, a mezzaluna knife is the perfect cutlery tool for chopping fresh and fragrant herbs for use in your signature dishes. 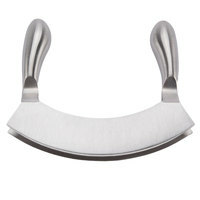 Each knife’s handle and blade offer superior control, comfort, and convenience to make the prep process safer, quicker, and more efficient. 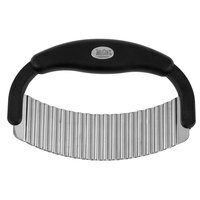 It also serves as an excellent mincing knife, helping cooks mince garlic and other ingredients for house-made sauces, dips, and marinades. 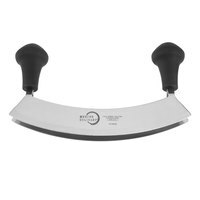 Our selection of knives includes options of various blade lengths and handle configurations, so you’re sure to find the best twin blade mincing knife for your preparation needs. 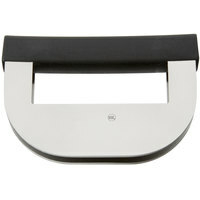 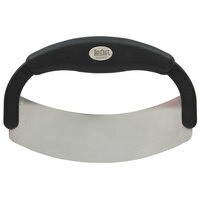 Choose a mincing knife with one or two blades, and pick from knives with single or double handles. 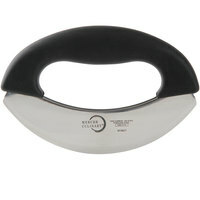 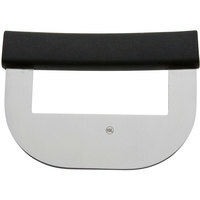 These knives can even be used inside mixing bowls thanks to their curved blade shape. 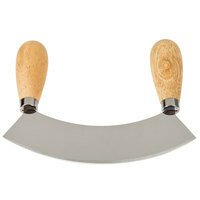 Whether you’re prepping basil and oregano for pasta sauce, garlic and onion for sautéing, or you’re using a larger option for slicing whole pizzas, these knives are great additions to your commercial kitchen’s cutlery supply.